Outrage spread like wildfire across the Internet this week with criticism of Microsoft's alleged new upgrade process for Windows 7. People were concerned if they wanted to upgrade to Windows 7 they would be required to activate the current version of Windows they were using prior to upgrading. If true, this would be a departure from the Windows Vista upgrading process and add a mammoth hassle-factor to upgrading your PC to Windows 7 or reinstalling the OS. This alleged requirement was blogged about at various Web sites linking to Dwight Silverman's original TechBlog post. If you have to go back and reinstall Windows 7 for whatever reason, you'll have to both reinstall the previous operating system and put in a call to Customer Support. That's because the key to said operating system--the one that Windows 7 checks for activation--would no longer be valid. To put it bluntly, the Windows 7 upgrade experience shoots itself in the foot the first time you run it. The confusing part? Another Microsoft employee is directly contradicting the unnamed spokesperson that Silverman's post references. 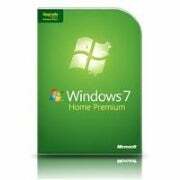 "If you purchased the Windows 7 Upgrade, you only need the original media (CD / DVD) of Windows XP or Windows Vista. The Upgrade media will ask you to insert the media from XP or Vista so it can perform a check of the physical media before proceeding. Of course, if you already have Windows Vista installed on the machine, it will just allow you to perform an in-place upgrade." At first glance, Silverman's report sounds plausible due to its similarities with Vista upgrading policy. After all, you can't just install a Vista upgrade on an empty drive. Unless you go for the crafty workaround option, you have to run the Windows Vista upgrade installation out of an XP environment. That's how the upgrade DVD checks the validity of your situation--that you're actually upgrading an existing operating system instead of using the upgrade CD as a cheaper way to get a full version of Vista on your drive. Boot into working OS. Activate OS. Fail. Older license key is invalid. At minimum, you're in for a phone call to Microsoft Customer Support every time you need to reinstall Windows 7 for any reason--to somehow validate your previous copy of Windows, that is. You could also get around the validation technique by cloning your hard drive with the previous OS on it and overwriting your primary storage device with these files every time you need to reinstall the Windows 7 upgrade. I must confess, I didn't think either of these two issues were that big of a deal, but the Internet seems to disagree. There's been a wide range of passion in reactions to the alleged new activation check, everything from, "Just canceled an order for 3 windows 7, screw ms" to "Way to tell everyone this right after the huge preorders for the upgrade version finish." The latter would curtail Microsoft's ability to control illigimate use of the upgrade CD, which doesn't appear to be the company's focus given the increased evolution of its activation and anti-piracy measures in recent OS releases. One could always throw both ideas out the window and believe the Internet commenters instead, who suggest that a Windows 7 upgrade will somehow tie your XP or Vista key to Microsoft's servers and allow you to run future Windows 7 installations from the upgrade CD without any additional verification whatsoever. Confused? Microsoft Seems So, Too. I've put in a call to get an official position on the Windows 7 upgrade routine once and for all, and I'll be sure to let you know as soon as Microsoft figures out what's going on. As of right now, I wouldn't necessarily believe anything you read about the Windows 7 upgrading process, nor should you run screaming out the door and cancel your preorder out of spite. There are too many conflicting reports from too many "valid" sources to make any sense of this supposedly simple process. If the Windows 7 upgrade makes you run for the hills, you can keep in touch with civilization by following Geek Tech's David Murphy @Acererak.